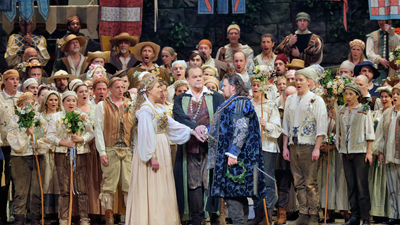 Legendary conductor Fritz Reiner leads a magical performance of Wagner’s only comic opera. Victoria de los Angeles is an enchanting Eva, the young woman whose husband must be a Mastersinger—so says her father Pogner (Josef Greindl). But the knight she loves, Walther (Hans Hopf), doesn’t know any of the Mastersinger Guild’s rules, and his pedantic rival Beckmesser (Gerhard Pechner) lives by them. Fortunately the poet-cobbler Hans Sachs (the great Paul Schöffler) knows just what to do so that love triumphs. 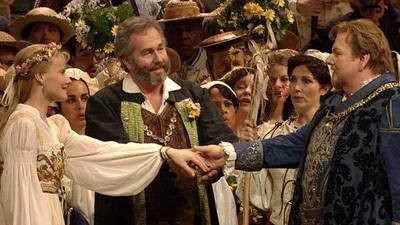 This performance is taken from the "Wagner at the Met" CD box set.